We’re working hard to keep you on the cutting edge of your field with SitePoint Premium. We’ve got plenty of new books and mini-books to check out in the library â€” let us introduce you to them. A step-by-step, practical tutorial on creating efficient and smart web apps and high-performance interactive pages with jQuery 3.0. Create a fully featured and responsive client-side app using jQuery. Explore jQuery 3.0 features and code examples updated to reflect modern JS environments. 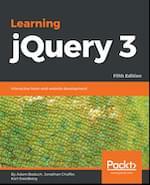 Read Learning jQuery 3 Fifth Edition. Learn Storybook, an interactive environment for developing and testing UI components. It allows you to build components and play with them in isolation from the app that you’re building. 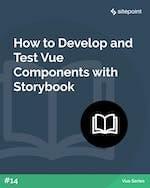 Read How to Develop and Test Vue Components with Storybook. Build a simple shopping list app using Vue, Vuex and Bootstrap. Along the way, you’ll discover how Vue’s official state management solution can help you manage state throughout your app as it grows. 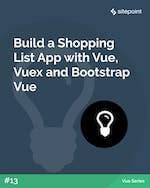 Read Build a Shopping List App with Vue, Vuex and Bootstrap Vue. Protect your organization’s security at all levels with the latest strategies for securing DevOps at each layer of the pipeline. Discover security practices to protect your cloud services by detecting fraud and intrusion. Explore solutions to infrastructure security using DevOps principles. 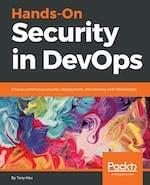 Read Hands-On Security in DevOps. Learn how to build a modern blog site using Vue.js and GraphCMS, a headless CMS platform that delivers content via GraphQL, for a faster and more customizable website than using WordPress. 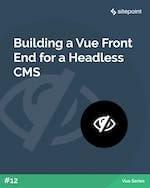 Read Building a Vue Front End for a Headless CMS. 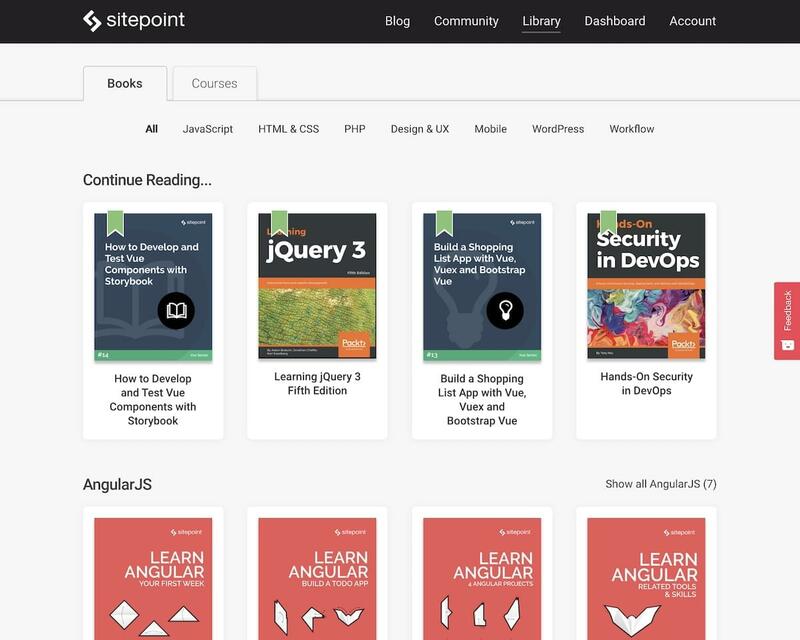 If you’re a Premium member, check out our new library. We’ve launched a cleaner, faster library interface that makes tracking and resuming your current books much quicker.